Brendan Noble ’18 has always been down for a chal­lenge. As a first semester freshman in an inter­me­diate-level eco­nomics class — a class which Assistant Pro­fessor of Eco­nomics Michael Clark said “many juniors who take it fear” — Noble walked away with one of the best grades in the class. “When I warned him to poten­tially recon­sider taking the class he just accepted the chal­lenge as an intel­lectual adventure,” Clark said. His latest adventure, since grad­u­ating in May, is to self-publish a young adult dystopian novel, set in a socialist, futur­istic America. 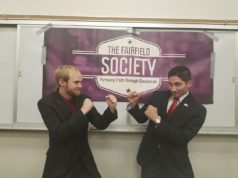 Noble, who grad­uated last May with a major in eco­nomics and a minor in German, was known to spend a lot of his spare time studying and dis­cussing pol­itics. After working on several cam­paigns in the past years, including Justin Amash for Con­gress in 2018, Noble cur­rently works as a data con­sultant for Amash. He decided to write the book in his spare time last November, and has not looked back. When asked if his expe­rience in American pol­itics helped in the writing of the dystopian novel, Noble laughed. 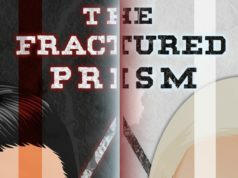 “The Frac­tured Prism” is a story about a young man in a futur­istic America, 99 years after a fic­tional third American civil war, in the Twin Cities, Min­nesota. The man works with oper­ators who try to over­throw the gov­ernment, and winds up becoming allies with a former princess. Though fiction-writing seems unlikely for an eco­nomics major, Noble said he had had the ideas for this story for a while. National Novel Writing Month, an online com­pe­tition also known as “NaNoWriMo,” has gained a lot of recog­nition with up-and-coming writers since its beginning in 1999, and boasted 394,507 par­tic­i­pants from 646 dif­ferent regions in 2017. The chal­lenge: Write a 50,000-word novel in the month of November, or just under 2,000 words every day. 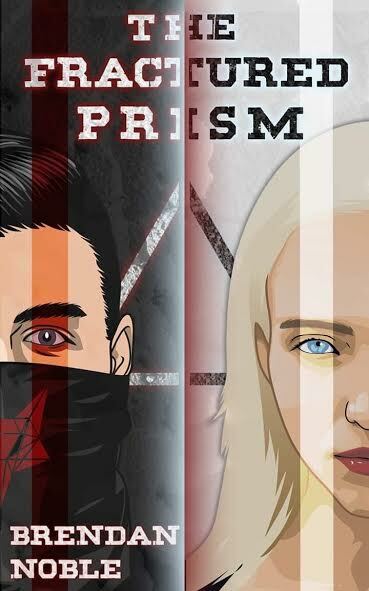 Noble wrote the first full draft of “The Frac­tured Prism” in November of 2018 for NaNoWriMo. After the chal­lenge ended, he imme­di­ately tran­si­tioned to editing, and within three months, with the addition of some massive changes and with a final man­u­script of some 77,000 words, will be releasing the book through Amazon self-pub­lishing on Feb. 15, as both a soft­cover and an ebook. This will­ingness to try any­thing is con­sistent with how Noble’s pro­fessors described him. Those who knew him from Hillsdale said they had no idea Noble was writing a book, but most were not sur­prised. Noble always pursued a wide variety of hobbies outside of his major, and outside of political jobs, including doing lighting and pro­duction design for the theatre department, and becoming a member of the theatre hon­orary, Alpha Si Omega. Michael Beyer, Lighting Designer and Pro­duction Manager for Theatre Department, who employed Noble for three of his years on campus, said he did not hear about the book until a couple of weeks ago. In addition to his own work on the book, Noble’s fiancee Andrea Wallace ’18, as well as several of his family members, have lent their eyes and opinions to the various drafts. Noble said he also uses a lot of online resources as he learns how to nav­igate the process of self-pub­lishing, and to weigh his options. Going back and revising has been dif­ficult, but the reward was finally holding a proof copy for the first time. “I thought, ‘Holy crap, I wrote this,’” he said.